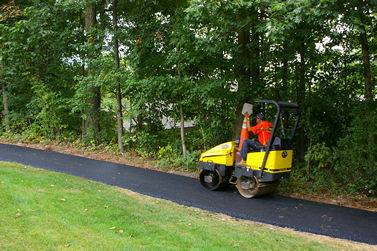 Tthe Lake Thoreau trail has been modified to add a branch at the golf course using the golf cart bridge as well as the current inlet bridge. 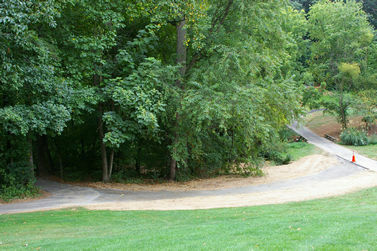 Notice the new trail construction that connects from the existing trail on the left to the golf cart path. 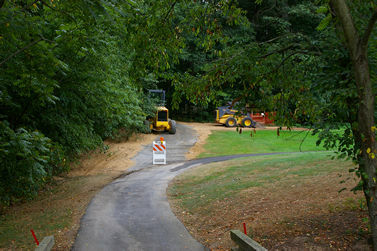 After crossing the creek a new connection is being made from the golf cart path into the woods. 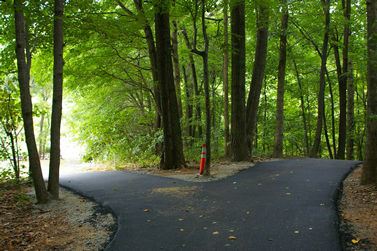 The new trail connects here to the existing trail. This will bypass the steep hill down to the current inlet crossing. 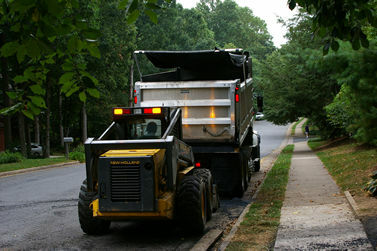 Asphalt is brought by truck to the work location and placed on a loader. 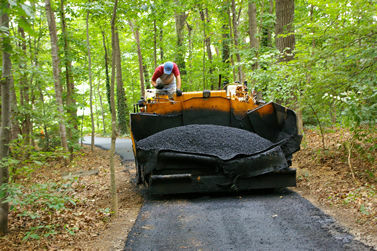 The loader carries the asphalt down the trail to the paver. The asphalt is dumped into this end of the paver. 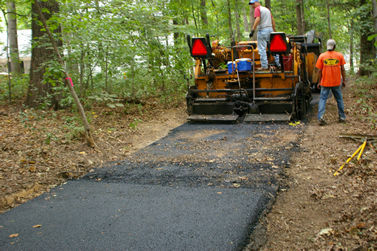 The asphalt is placed on the trail by the paver. 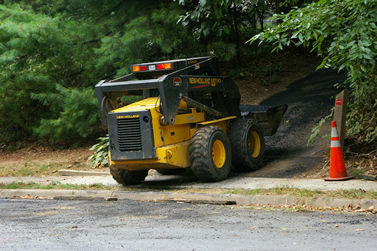 A roller compacts the asphalt. The new branch section of trail is finished. 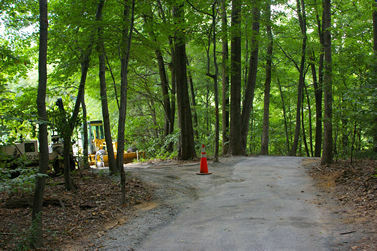 The original section of trail over the inlet was also paved so that access to the inlet is still possible.